To mark the 50th anniversary of the passing of the National Library Act 1965 the National Library Society and the Friends of the Turnbull Library jointly presented a panel of experts to discuss the opportunities and challenges facing the National Library in the next 50 years. Alan Smith: Alan Smith was Deputy National Librarian through the 1980s introduction of online networking, the move into the present building, and the era of state sector reforms. Long-time member of both Friends of the Turnbull Library and the National Library Society, he was President of the latter 1998-2001. Don Hunn CNZM: Eminent NZ diplomat and senior public servant, Don Hunn is the immediate past Chair of the Library and Information Advisory Commission, the statutory body which advises the Minister responsible for the National Library. Professor Charlotte Macdonald: Professor of History, Victoria University of Wellington, Prof Macdonald is an authority on the National Library’s role, especially that of the Alexander Turnbull Library, as the repository of national literary taonga and a vital source for research. Professor Anne Goulding: Professor of Library and Information Management, Victoria University of Wellington, Prof Goulding is the Research Degrees Programme Director. Her main focus is the management of public libraries. She is also Editor of The Journal of Librarianship and Information Science and has published widely on public library services. Karen Clarke: Currently Library Manager, St Patrick’s College, Karen Clarke has worked in school libraries for 18 years. 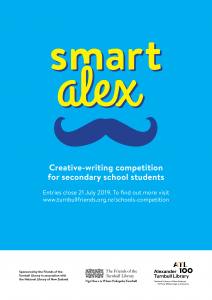 She is Wellington Chairperson of School Library Association of New Zealand Aotearoa (SLANZA) and the Wellington regional representative on the SLANZA National Executive. Minister for the National Library Peter Dunne has announced the appointment of Dr Aroha Harris, Dr Jock Phillips and Dr Sydney Shep to the Guardians Kaitiaki of the Alexander Turnbull Library. Helen Tait (Chair) has been re-appointed for a further three-year term. Helen Walker continues her current term of appointment. UK researcher Dr Gerri Kimber has been visiting New Zealand for the fourth time in her diligent search for more information about Katherine Mansfield. Her latest trip is as the 2015 recipient of the Friends of Turnbull Library Research Grant, investigating KM’s early years in Wellington. Her public talk at the National Library on 4 August, called Tea, Zen and Cosmic Anatomy: the mysticism of Katherine Mansfield drew connections in Mansfield’s literary and personal enthusiasm for Japanese culture, evidence of her early reading of The Book of Tea, and analysis of poems written in 1909-10. Gerri explained that Mansfield took to wearing a kimono at home, read the poems of Yone Noguchi and talked about visiting Japan. This was at the time of the enormously influential Japanese-British Exhibition in London, and Gerri entranced her audience with her comment on Mansfield’s short Japanese-style bob hairstyle was similar to that of a Japanese doll available for sale at the huge exposition! This issue celebrates the 100th anniversary of composer Douglas Lilburn’s birth in Wanganui on 2 November 1915, and presents a selection of birthday offerings exploring our musical heritage and its future. 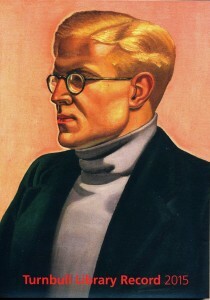 ‘Dear Mr Lilburn, Yours sincerely, Max Hinrichsen’: A Chronicle of Correspondence, 1940–1953: Lilburn biographer Philip Norman analyses correspondence between Lilburn and his publisher in London. A Matter of Trust: Reflections on the Lilburn Trust and the Archive of New Zealand Music: Roger Flury reflects on his years working at the National and Turnbull Libraries, and the role of Lilburn as patron. The Taonga of Others: Interpreting Waiata from the James Cowan Papers: Ariana Tikao studies James Cowan’s song-collecting, done in the early 20th century, which revealed that Māori featured the sounds of the land, sea, flora and fauna in their music. Johnny (Tahu) Cooper: The ‘Maori Cowboy’: In 2014, the library acquired the archive of Johnny Cooper, the ‘Māori Cowboy’ and father of New Zealand rock’n’roll. Keith McEwing describes these papers and recordings, as well as the artist’s career. The Devil’s in the Detail: David Mitchell’s Cover Art for the 3Ds: Denise Roughan shows us the weird and wonderful 3Ds album-cover artwork, and explains the stories behind their creation. Untouchable Girls in the Library: Arranging and Describing the Diva Productions Collection: Valerie Love explains her work organizing the recent donation of Diva Productions archival material, mostly relating to the Topp Twins, which charts the evolution of their career from buskers to national treasures. Blurred Lines: Five Years of Archiving Online Music at the Turnbull: Sholto Duncan explores the challenges faced by libraries archiving music recorded in the digital age: much of it is distributed by the composers themselves using the internet. Catching the Zombies: Experimental Music in Aotearoa and the Importance of Preservation: Matt Steindl explains the proliferation of experimental music and the crucial role of collecting institutions to support, capture and preserve it. Sholto Duncan is an Electronic Publications Librarian/Selector, specialising in online music at the Alexander Turnbull Library. He has played a large role in developing the Library’s digital music selection policies and workflows, and is heavily involved in publisher/producer relations in negotiating permissions for archiving and making music accessible through the National Digital Heritage Archive. Until his retirement in 2014, Roger Flury was Curator, Music at the Alexander Turnbull Library and Secretary to the Music Advisory Committee of the Lilburn Trust. Before that he spent 20 years developing the National Library’s general music collections and services, and 10 years at Canterbury Public Library. He served as Secretary General of the International Association of Music Libraries from 2003 until his election as President in 2010. His books on Mascagni and Puccini have won awards in the USA. Current projects include a volume on Dunedin-born conductor Warwick Braithwaite, and – in collaboration with David Vine – the complete compositions of Arturo Toscanini for publication in New York. Valerie Love is Research Librarian for Digital Materials on the Arrangement and Description Team at the Alexander Turnbull Library. Before moving to New Zealand in 2011, Valerie worked as Curator for Human Rights Collections at the Thomas J. Dodd Research Center, University of Connecticut, and as Project Archivist at the Benjamin L. Hooks Institute for Social Change, University of Memphis. Keith McEwing has worked in music libraries for 23 years and is currently Acting Curator, Music, at the Alexander Turnbull Library. He has a Bachelor of Music (Composition) from Victoria University of Wellington, and in 2008 completed a Master of Arts, looking at the relationship of dance and music in the chaconne. Keith also teaches and performs Renaissance, Baroque, and modern social dance. Dr Philip Norman was the inaugural Lilburn Research Fellow at the Turnbull Library in 2013, continuing research towards a book on composition in New Zealand. 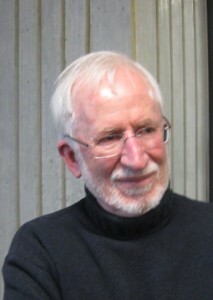 Author of an award-winning biography of Douglas Lilburn (CUP 2006), he was also editor and principal contributor to John Ritchie: A Festschrift (Nota Bene 2011), amongst other publications. Based in Christchurch, he is active as a writer, composer, conductor, speaker and advocate for the arts. Denise Roughan is Assistant Curator, Drawings, Paintings and Prints, at the Alexander Turnbull Library. She has been an active musician in various bands in New Zealand and London for 30 years, including nine years playing in the 3Ds. Matt Steindl is Music Research Librarian at the Alexander Turnbull Library. He lives in Kilbirnie, and plays music in Wellington bands The Golden Awesome and The Raskolnikovs. Ariana Tikao is the Research Librarian, Māori (Arrangement & Description) at the Alexander Turnbull Library. She is of Kāi Tahu descent, with strong links to the Canterbury/Banks Peninsula area. Ariana is also a singer-songwriter, particularly interested in reviving waiata from her whānau, hapū and iwi, and is an avid exponent of taonga puoro. Last year she curated an exhibition in the Turnbull Gallery about the writer James Cowan and his role in the development of New Zealand’s cultural identity. Speaking to the Friends of the Turnbull Library at this year’s AGM, Marian Minson, curator Drawings, Paintings and Prints, looked back over 36 years working at the Library, and revealed some personal favourites among the artworks for which she has been responsible for the past 15 years. Her highlights included several from Alexander Turnbull’s own collection, and her reminiscences ranged from the idiosyncrasies of staff members such as the redoubtable Tony Murray-Oliver, to the astounding growth of the Drawings, Paintings and Prints collections, which has trebled over the past three decades. Delicate watercolours, delightful oils, architectural sketches, landscapes, historic scenes, early colonial towns, ships, portraits – this was a very special curator’s guided tour through nearly 50 significant items. Some were well-known artists (Heaphy, Fox, C D Barraud, G F Angas, von Guerard) but many others were lesser-known treasures, such as John Pearse’s “Mr Biggs House, Hutt, 1855” [E-455-f-053-1] showing fissures from the 1855 earthquake, and John Adams’ view of the Auckland waterfront in February 1844. [B-176-003]. Our second best prime minister since 1945? Wellington researcher Ken Ross is writing a book evaluating the 15 New Zealand prime ministers since 1945 from the perspective of their engagement in global diplomacy. His public lecture at the National Library of New Zealand on Wednesday, 17 June drew a full house for his topic: “David Lange’s ‘diplomatic’ journey from the Oxford Union to Yale”. Ken summed up Lange’s chequered performance to rate him as our second best prime minister in stamping our mark internationally since 1945 – behind Norman Kirk. His comparisons between Lange, Kirk and Helen Clark produced lively debate during the question time which followed his talk. Reflecting on David Lange’s global diplomacy while prime minister, Ken Ross argued that Lange was held in higher regard internationally for his diplomatic achievements than he was on the home front. Ken’s talk highlighted significant moments when Lange showed his strengths, as in his handling of the bombing of the Rainbow Warrior on 10 July 1985 – almost 30 years ago. Katherine Mansfield destroyed letters and journals relating to 1909-10, a time when she was in reckless search of ‘life experience’ and had several lovers, a one-night marriage, and probably two aborted pregnancies. 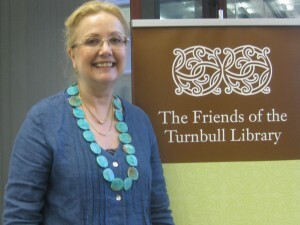 Now UK researcher Dr Gerri Kimber – the recipient of the 2015 Friends of Turnbull Library Research Grant – has discovered a folder of 35 poems by Katherine Mansfield dating from this time, in the manuscript collections of the Newberry Library in Chicago. Apparently retained by the London publisher who rejected them for publication in 1910, they were eventually sold to an American buyer who then passed them to the Newberry Library in 1999. Although they were catalogued as poems by Katherine Mansfield, no previous researcher had stumbled on to the realisation that these were not yet included in any listings of KM writing. Dr Gerri Kimber, a leading authority on Katherine Mansfield, has been working on a new biography of Katherine Mansfield’s early years. She is a tenacious researcher who has already located previously unpublished material relating to KM’s first 19 years in New Zealand. Dr Kimber will use the FoTL Research Grant to visit Wellington in August 2015 to explore the collections of the Alexander Turnbull Library, which is renowned for its substantial archives concerning Mansfield. This material includes the recently acquired literary and personal papers from the estate of John Middleton Murry, Mansfield’s husband. Gerri Kimber will be speaking at a FoTL public lecture at the National Library of New Zealand on Tuesday 4 August at 5.30pm. Tangata Whenua: An Illustrated History, written by Atholl Anderson, the late Dame Judith Binney and Aroha Harris and published by Bridget Williams Books, has been honoured with the prestigious Royal Society of New Zealand 2015 Science Book Prize. Described by the judges as ‘a dazzling work of scholarship’, this superb Māori history offers new perspectives on our past and presents a dynamic narrative, based on archival research, oral history and the many published stories of the past two hundred years. Speaking for the Royal Society of New Zealand, Dr Andrew Cleland noted that Tangata Whenua incorporates research from a wide range of disciplines from the sciences, including social science, and the humanities, which mirrors the breadth of scholarship supported by the Society. Contributions are now invited for the 2016 issue of the Turnbull Library Record. The Turnbull Library Record is a peer-reviewed journal in the humanities, published yearly by the Alexander Turnbull Library in association with the Friends of the Turnbull Library. It publishes information relating to the activities of the Library, as well as articles covering a wide range of research, with special emphasis on the societies and cultures of New Zealand and the Pacific Islands. Its purpose is to increase knowledge of the Library’s collections by showing their scope and richness, and the ways researchers are using them. The 2016 Record will not be themed, but will instead be a general issue. Articles or pictorial essays should be between 2,000-5,000 words. Contributions that have not been previously published are welcome and, before acceptance, will be independently refereed. They should be written in a lively and accessible manner, with a scholarly underpinning. Deadline for the submission of papers is 1 September 2015. 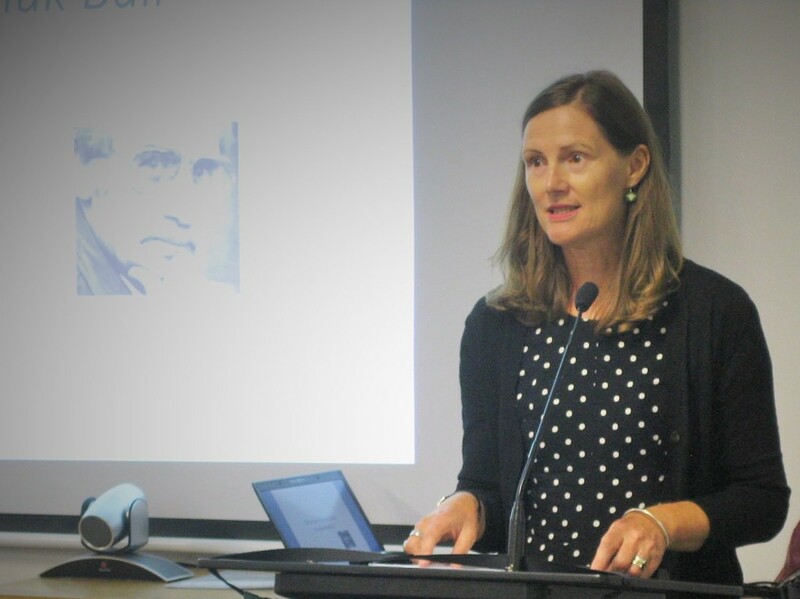 In a talk to the Friends on Wednesday 11 March, Dr Lucy Treep – recipient of the 2014 FoTL Research Grant – spoke about Maurice Shadbolt’s play, Once on Chunuk Bair, which was produced by Ian Mune at the Mercury Theatre in Auckland, opening on ANZAC Day 1982. She said Shadbolt first visited the battle site on Gallipoli in 1977, and almost immediately began to think about writing a play to convey the story of the New Zealanders’ experiences. That first Auckland production was acclaimed; but Shadbolt himself was irate at a last-minute cut of two pages in the script. Later, the play was published by Shadbolt as a book with an introduction by Michael Neill. The cut pieces were reinstated and Shadbolt made extensive revisions to the script, this time drawing on a series of interviews he began in June 1982 with a number of returned servicemen for a television documentary. By 1989 Shadbolt had reassessed the whole episode and decided that “Chunuk Bair is a contemporary play. … It is only ostensibly about New Zealand’s fatal day on Chunuk Bair on August 8, 1915. It was really about New Zealanders – and New Zealand – seventy years on.” Lucy Treep sees this as an indication that Shadbolt was actively seeking to not only interrogate commonly held myths but also to create them, to shape the ‘spirit of the age’, or the ‘spirit of a nation’.